Each job site has its own condition-based requirements to be able to complete each project. With many years experience in directional drilling and the industry, we understand the importance of continual planning, preparation and communication throughout the project to reach the target. 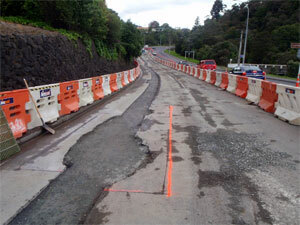 Our company has worked in a variety of ground, weather and traffic conditions and continually adapts to provide the best solutions possible to complete the job. Each job site has its own condition-based requirements to be able to complete each project. With many years experience in trenching and the industry, we understand the importance of continual planning, preparation and communication throughout the project to reach the target. 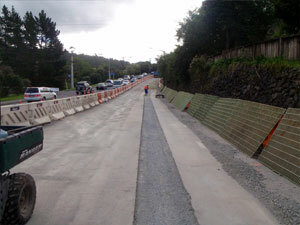 Chain trenching simply put, trenches a hole in the ground based on specific depth & width measurements. 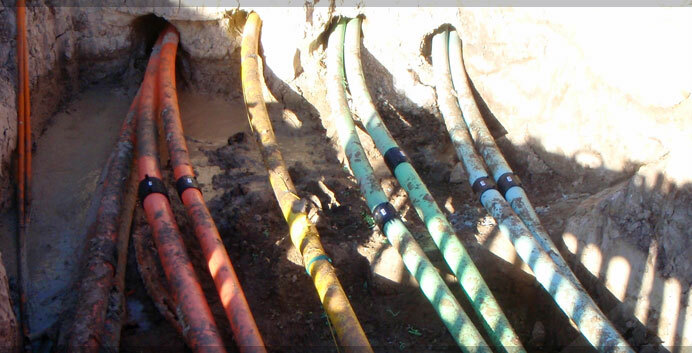 A site requirement for this service is that all underground utility services are not already installed. Our locaters are able to assess each site accordingly. Please contact us for more information. Our experienced staff are able to provide this service on sites where underground services are not in place and a duct no larger than 50mm or 1m deep is required. When ribbon blowing is required, our staff are able to ensure the cable is laid and a ribbon inserted to minimise the difficulty of pulling cables through the ducting. Using the latest technology in locating equipment, we have staff that specialise in locating underground utility services. Where reinstatement is required, we ensure that completion of the project meets council specifications. Our procedures ensure that the public are aware of our schedules in order to minimise any inconveniences. Our staff are not only trained to restore and renew job sites to high standard, they take pride in their work to create the finished result.